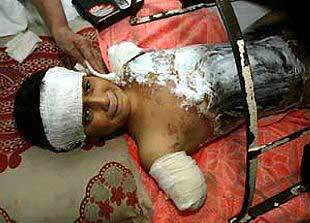 Endless war, based on lies... TORTURE, legalized. 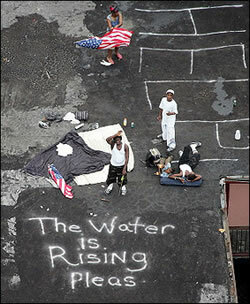 Hurricane Katrina, forgotten. - Buy Declare it Now! organizing kits HERE. 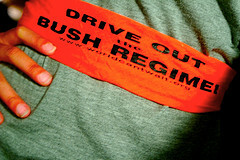 - Buy "Drive Out the Bush Regime" Orange Bandanas HERE. - Buy Orange in Bulk! Find Orange Wristbands, Wholesale Orange Bandanas, Orange Ribbon, Orange Utility Tape HERE. The Declare it Now Campaign, seeks to make visible the sentiment to Drive out the Bush Regime by Wearing ORANGE! Read more here. This campaign was launched by The World Can't Wait-Drive Out the Bush Regime! Read our Call to Drive out the Bush Regime and add your name to the list of those calling for an end to the crimes being committed in their names! About Declare it Now: Wear Orange! The urgent color of orange -- the color that has been assigned to those detained and tortured with no due process -- must become the color of a gathering sentiment to end the Bush regime and reverse its program. This spreading of orange is a way of publicly declaring ourselves, seizing the moral high ground and showing our collective determination to bring these crimes to a halt NOW by driving out the regime. Think of all the people who say that they wish something could be done to stop and reverse this whole disastrous course, but nothing will make a difference; or who hope that somehow the Democrats will do something to change this, when everyday it becomes more clear that they will not. A groundswell of people wearing orange in their daily lives , assisted and amplified by the voices of prominent people and musicians wearing and promoting orange on TV, radio and on stage at concerts, can break people out of this conundrum where millions are just furious but still paralyzed by the paralysis of the loyal opposition Party and by the presidential elections' anaesthetizing effects. A groundswell of orange can turn into a groundswell of hope and danger – a groundswell that rises up from below and has the potential of sweeping Bush from office before his term is up. This counter-force can alter the political atmosphere from one of paralysis and despair into one of massive mobilization and hope in the power of people acting independently to change all this. People will stand out loud in the crowd, making their sentiments visible as more people associate orange with “Bush & Cheney must go,” and find people who think as they do. If the Bush program is not massively repudiated through impeachment, then everything he has set into motion will continue under the next President. Orange needs to go viral by Labor Day-- especially on Orange Fridays -- when orange goes to work and on the trains and on the streets in a mass way, and where gatherings of people wearing Orange leafleting, doing street theater, holding up posters of the Bush regime's crimes swell in size in a regular place each week. People should help expand this by bringing more friends each week, and asking everyone to do the same. Upcoming Events listed here. Declare it Now: Wear Orange!